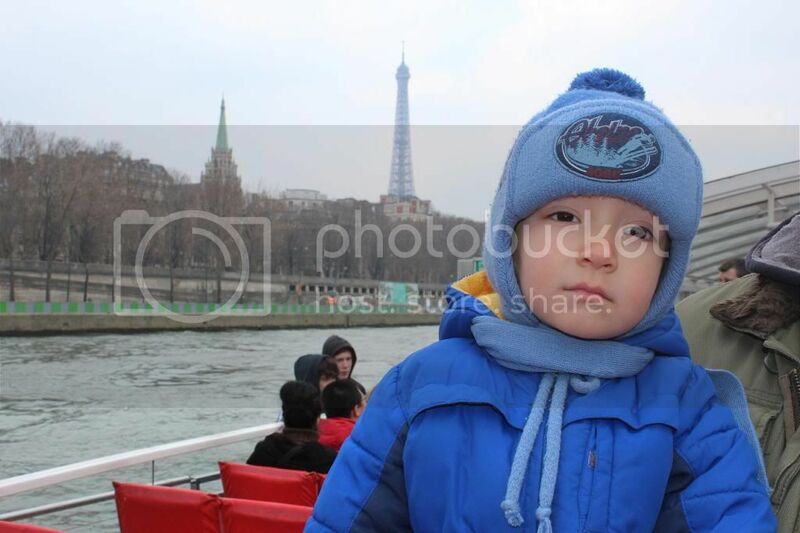 It was our last day in Paris and we decided that it is a time to see the most beautiful monuments in Paris while enjoying a cruise on boat along the Seine. 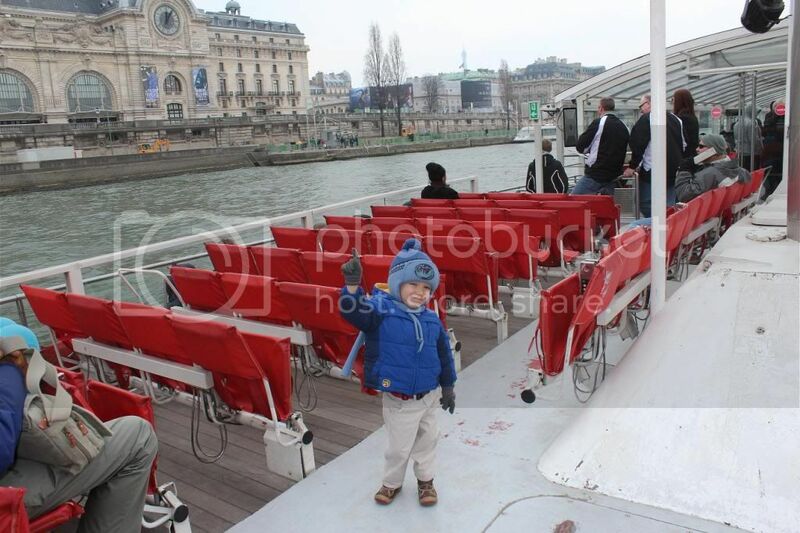 The cruise departed from Eiffel Tower and lasted an hour, from Eiffel Tower to Louvre Museum and the Cathedral Notre-Dame de Paris, passing many bridges where each one is an unique architectural masterpiece. It was time to add the final touch to our journey and we just relaxed and re-winded our memories when we passed places which we explored earlier. It was cloudy and windy.Teddy was intrigued by sculptures on the bridges and adjacent to them. 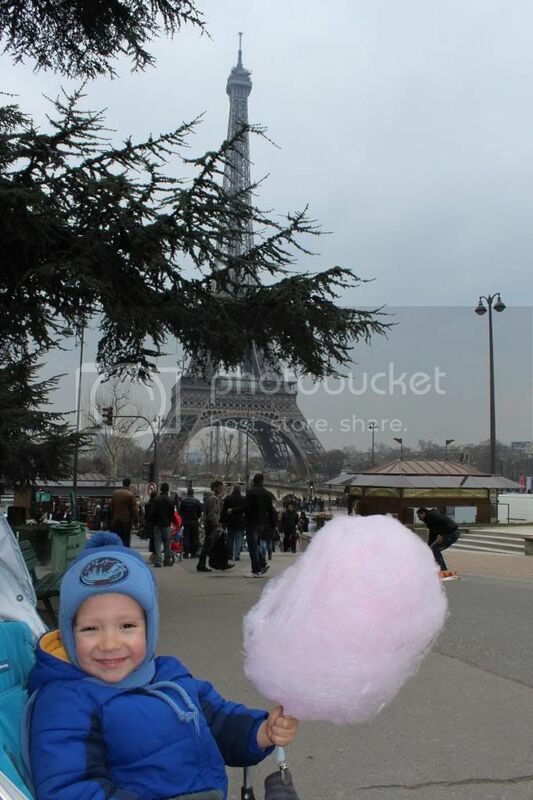 When we got back to Eiffel Tower – Teddy asked for "Barbe à papa" (Cotton Candy) and watched with interest how it was gradually growing on a stick until it became a big cotton ball. Then we headed to Champs-Élysées for shopping. We bought souvenirs and T-shirts for relatives and friends, some clothes for us. Everyone got what wanted. We checked the Disney store there – it has two storeys and so much to offer. The variety of some products there was even better than in Disneyland boutiques. We checked few French brand stores that carry only clothes that made in France. The quality was very good, but they were quite expensive. It was a lot of souvenir shops and gastronomic boutiques. It was time to go back to hotel and pack our luggage. Early morning we left Paris for Toronto. 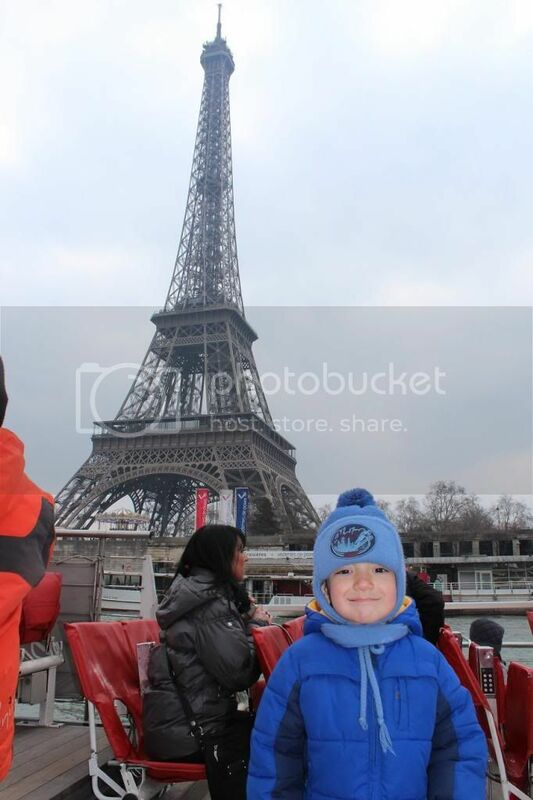 2) Our Paris Expectations vs Reality.